Artificial intelligence has a diversity of applications, many with societal benefits. 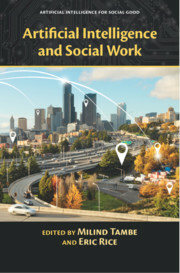 Books in this series will offer a multidisciplinary perspective on these applications, ranging from social work to healthcare, to environmental sciences. Each book will survey the AI approaches to a particular societal problem and promising research directions, with case study examples.